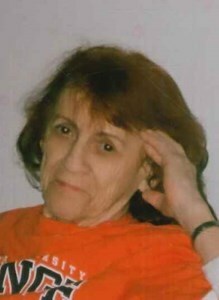 Sandra F. Sullivan, 81, of Cicero, passed away on Friday. She loved animals, especially her cat, Susie. Sandra enjoyed knitting and socializing with her friends. Sandra was predeceased by her loving husband, John L. Sullivan and sisters, Jackie, Joan and Sherry. She is survived by children, Paula Neuman and Gina Marcley; grandchildren, Jennifer, Jackie, Shelby, Brandon and Dennis; several great-grandchildren; brothers, Bill and Patrick; sister, Brenda and many nieces and nephews. The family would like to express gratitude to nieces, Lori and Kim for being Sandra’s guardian angels in the time of need. Add your memories to the guest book of Sandra Sullivan. Sandy was my cousin and I will miss her phone calls and the laughter we shared. She loved her cat and I hope someone will love her as sandy did. God bless!???? I have already left a message being so deeply saddened by Sandy’s passing, but I also wanted to say what a dear friend she was to my mom Janet, as well as an amazing neighbor, she helped my mom when she wasn’t feeling well, and when she felt better they use to do some shopping. We are truly surprised and saddened by Sandy’s passing, cannot find the words to say how sorry we are. With deepest of sympathy. Sandy was one of the kindest and sweetest ladies I had ever met. Going to miss her, She always wanted to help with any situation. I truly feel very saddened. Praying for her peace. God Bless, my prayers are with Sandy and her family. I enjoyed having coffee with Sandy on Tuesday mornings at Price Chopper, she was a lovely lady who will be missed. I knew that she hadn’t been feeling well but I was a bit taken aback to hear that she had passed away. Our condolences.